It's a shocking fact that it is still legal in the US for animals to suffer and die in painful tests for cosmetics. Despite progress in humane product testing and bans on animal testing for cosmetics in other countries, the US still has no national law prohibiting the use of animals for cosmetics testing. The Humane Cosmetics Act would change this by ending animal testing for cosmetics in the US once and for all. Here are six celebrities who posed with ridiculously cute animal friends in support of the Cruelty Free International campaign to end animal cosmetics testing in the US. 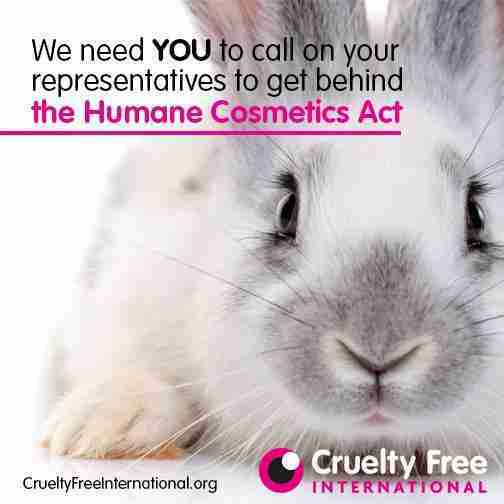 You can join them by sharing this post and by asking your US Representative to support the Humane Cosmetics Act. Cruelty Free International has made it easy for you. It's time for the US to end cosmetics testing on animals! See more Cruelty Free International celebrity supporters on our Pinterest page.